The Muslims never interfered with the religion of their Christian subjects. One of the most important themes of Islam is tolerance. There is no forced compulsion on people to change their religion. Throughout Islamic history, tolerance was not only shown to Muslims who had different points of view, but also to non-Muslims. Today, unfortunately, many Muslims have forgotten the true spirit of Islam. They are at times intolerant to non-Muslims under their rule as well showing intolerance to Muslims who disagree with their view. In a timely reminder we have edited a speech by the great Muslim scholar Marmaduke Pickthall on Tolerance in Islam. 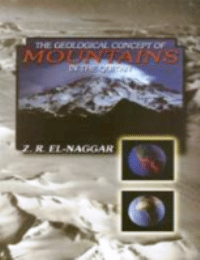 The lecture was given in 1927 in Madras, India. His message is just as relevant today seventy five years later. One of the greatest misrepresentations of Islam historically by Western writers is that it is intolerant. This is turning the tables with vengeance when one remembers various facts: One remembers that not a single Muslim was left alive in Spain or Sicily or Apulia. One remembers that not a Muslim was left alive and not a mosque left standing in Greece after the great rebellion in 1821. One remembers how the Muslims of the Balkan Peninsula, once the majority, have been systematically reduced with the approval of the whole of Europe. In Spain under the Umayyads and in Baghdad under the Abbasid Khalifahs, Christians and Jews, equally with Muslims, were admitted to the schools and universities – not only that but were boarded and lodged in hostels at the cost of the Muslim state. When the Muslims were driven out of Spain, the Christian conquerors held a terrific persecution of the Jews. Those who were fortunate enough to escape fled, some of them to Morocco and many hundreds to the Turkish empire. The Muslim empire was a refuge for all those who fled from persecution by the Inquisition. The Western Christians, until the eighteenth century, did not know and did not care to know, what Muslims believed, nor did the Western Christian seek to know the views of Eastern Christians with regards to them. The Christian Church was already split in two, and in the end, it came to such a point that the Eastern Christians, as the historian Gibbon shows, preferred Muslim rule, which allowed them to practice their own form of religion and adhere to their peculiar dogmas, to the rule of fellow Christians who would have made them Roman Catholics or wiped them out. If Europe had known as much of Islam as Muslims knew of Christianity, the fanatical outbreak known as the Crusades could not have taken place, for they were based on a complete misapprehension. That was the kind oh “history” on which the populace in Western Europe used to be fed. Those were the ideas which inspired the rank and file of the crusader in their attacks on the most civilized peoples of the day. Christendom regarded the outside world as damned eternally. It was not until the western nations broke away from their religious law that they became more tolerant; and it was only when the Muslims fell away from their religious law that they declined in tolerance and other evidences of the highest culture. Before the coming of Islam tolerance had never been preached as an essential part of Religion. For the Muslims, Judaism, Christianity and Islam are but three forms of one Religion, which, in its original purity, was the religion of Abraham – Islam, that perfect Self Surrender to the Will of God. The Jews, in their religion, after Moses, limited Gods mercy to their chosen nation and thought of His kingdom as their dominion of their race. Even Christ himself, as the Bible shows, declared that he was sent only to the lost sheep of the House of Israel and seemed to regard his mission as to them only. The Christians limited God’s mercy to those who believed certain dogmas. Everyone who failed to hold the dogmas was an outcast, to be persecuted for his or her soul’s good. 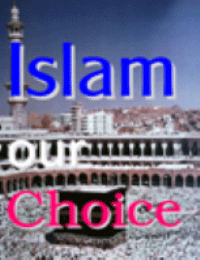 It is only in Islam that the real nature of the Kingdom of God is manifest. The two verses are supplementary. Where there is that realization of the majesty and the dominion of Allah (S.W.T), there is no compulsion in Religion. Men choose their path – allegiance or opposition – and it is sufficient punishment for those who oppose that they draw further and further away from the light of truth. 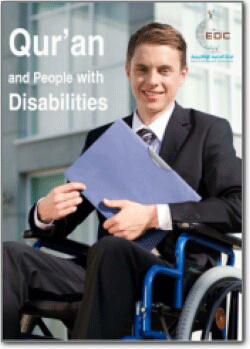 What Muslims do not generally consider is that this law applies to our own community just as much as to the people outside, the laws of Allah being universal; and that intolerance of Muslims for other men’s opinions and beliefs is evidence that they themselves have, at the moment, forgotten the vision of the majesty and mercy of Allah which the Qur’an presents to them. In the Qur’an I find two meanings of a Kafir, which becomes one the moment that we try to realize the divine standpoint. The Kafir in the first place, is not the follower of any religion. He is the opponent of Allah’s benevolent will and purpose of mankind – therefore the disbeliever in the truth of all religions, the disbeliever in all Scriptures as of divine revelation, the disbeliever to the point of active opposition in all the prophets (pbuh) whom the Muslims regard, without distinction, as messengers of Allah. 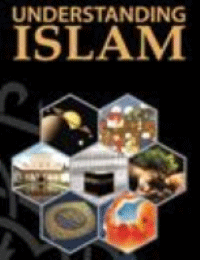 The Qur’an repeatedly claims to be the confirmation of the truth of all religions. The former scriptures had become obscure, the former Prophets appeared mythical, so extravagant were the legends which were told concerning them, so that people doubted whether there was any truth in the old scriptures, whether such people as the prophets had ever really existed. Here – says the Qur’an – is a Scripture of which there is no doubt: here is a Prophet actually living among you and preaching to you. 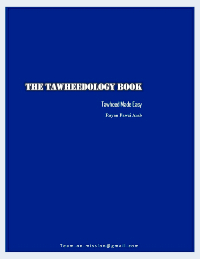 If it were not for this book and this Prophet, men might be excused for saying that Allah’s guidance to mankind was all a fable. 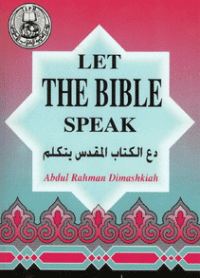 This book and this Prophet, therefore, confirm the truth of all that was revealed before them, and those who disbelieve in them to the point of opposing the existence of a Prophet and a revelation are really opposed to the idea of Allah’s guidance – which is the truth of all revealed religions. Our Holy Prophet (pbuh) himself said that the term Kafir was not to be applied to anyone who said “Salam” (peace) to the Muslims. The Kafirs, in the terms of the Qur’an, are the conscious evil-doers of any race or creed or community. I have made a long digression but it seemed to me necessary, for I find much confusion of ideas even among Muslims on this subject, owing to defective study of the Qur’an and the Prophet’s life. Many Muslims seem to forget that the Prophet had many allies among the idolaters even after Islam had triumphed in Arabia, and that he “fulfilled his treaty with them perfectly until the term thereof.” The righteous conduct of the Muslims, not the sword, must be held responsible for the conversion of those idolaters, since they braced Islam before the expiration of their treaty. It was otherwise with the people who had a respectable religion of their own – the People of the book – as the Qur’an tells them – i.e., the people who had received the revelation of some former Prophet: the Jews, the Christians and the Zoroastrians were those with whom the Muslims came at once in contact. To these our Prophet’s attitude was all of kindness. The charter which he granted to the Christian monks of Sinai is extant. If you read it you will see that it breathes not only goodwill but actual love. He gave to the Jews of Madinah, so long as they were faithful to him, precisely the same treatment as to the Muslims. He was never aggressive against any man or class of men; he never penalized any man, nor made war on any people, on the ground of belief but only on the ground of conduct. The story of his reception of Christian and Zoroastrian visitors is on record. There is not a trace of religious intolerance in all this. And it should be remembered – Muslims are rather apt to forget it, and it is of great importance to our outlook – that our Prophet did not ask the people of the Scripture to become his followers. He asked them only to accept the Kingdom of Allah, to abolish priesthood and restore their own religions to their original purity. The question which, in effect, he put to everyone was this: “Are you for the Kingdom of God which includes all of us, or are you for your own community against the rest of mankind?” The one is obviously the way of peace and human progress, the other the way of strife, oppression and calamity. But the rulers of the world, to whom he sent his message, most of them treated it as the message of either an insolent upstart or a mad fanatic. His envoys were insulted cruelly, and even slain. One cannot help wondering what reception that same embassy would meet with from the rulers of mankind today, when all the thinking portion of mankind accept the Prophet’s premises, have thrown off the trammels of priestcraft, and harbor some idea of brotherhood. There were always flourishing Jewish communities in the Muslim realm, notably in Spain, North Africa, Syria, Iraq and later on in Turkey. Jews fled from Christian persecution to Muslim countries for refuge. Whole communities of them voluntarily embraced Islam but many more remained as Jews, and they were never persecuted as in Christendom. The story of the triumphal entry of the Khalifah `Umar ibn al-Khattab into Jerusalem has been often told, but I shall tell it once again, for it illustrates the proper Muslim attitude towards the People of the Book. The Christian officials urged him to spread his carpet in the Church (of the Holy Sepulcher) itself, but he refused saying that some of the ignorant Muslims after him might claim the Church and convert it into a mosque because he had once prayed there. He had his carpet carried to the top of the steps outside the Church, to the spot where the Mosque of Umar now stands. From that day to this the Church of the Holy Sepulcher has always been a place of Christian worship, the only things the Muslims did in the way of interference with the Christian’s liberty of conscience in respect of it was to see that every sect of Christians had access to it, and that it was not monopolized by one sect to the exclusion of others. The same is true of the Church of the Nativity of Bethlehem, and of other buildings of special sanctity. When the crusaders took Jerusalem they massacred the Eastern Christians with the Muslims indiscriminately, and while they ruled in Palestine the Eastern Christians, such of them as did not accompany the retreating Muslim army, were deprived of all the privileges which Islam secured to them and were treated as a sort of outcasters. Many of them became Roman Catholics in order to secure a higher status; but after the re-conquest (by Salah Ud-din Ayyubi in 1187 CE), when the emigrants returned, the followers of the Eastern Church were found again to be in large majority over those who owed obedience to the Pope of Rome. The old order was reestablished and all the Dhimmis (minorities) once again enjoyed their privileges in accordance with the Sacred Law (of Islam). The Muslims never interfered with the religion of their Christian subjects (e.g. The Treaty of Orihuela, Spain, 713 CE). There was never anything like the Inquisition. Nor did they interfere in the internal affairs of their communities. Thus a number of small Christian sects were preserved and protected until today by the power of Islam. The Christians were allowed to keep their own languages and customs, to start their own schools and to be visited by missionaries to their own faith from Christendom. Thus they formed patches of nationalism in a great mass of internationalism or universal brotherhood; for as I have already said the tolerance within the body of Islam was, and is, something without parallel in history; class and race ceasing altogether to be barriers. In the Greek War of independence in 1811, three hundred thousand Muslims – men and women and children – the whole Muslim population of the Morea without exception, as well as many thousands in the Northern parts of Greece – were wiped out in circumstances of the most atrocious cruelty; In European history we seldom find the slightest mention of this massacre, though we hear much of the reprisals which the Turks took afterwards. Theremis no doubt that in the eyes of history, religious toleration is the highest evidence of culture in a people. 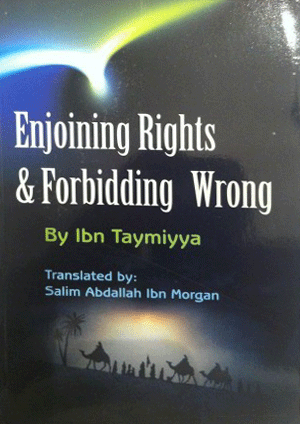 Let no Muslim, when looking on the ruin of the Muslim realm which was compassed through the agency of those very peoples whom the Muslims had tolerated and protected through the centuries, when Western Europe thought it a religious duty to exterminate or forcibly convert all peoples of another faith than theirs – let no Muslim, seeing this, imagine that toleration is a weakness in Islam. It is the greatest strength of Islam because it is the attitude of truth. 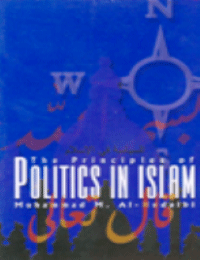 Taken with slight editorial modifications form: http://www.teachislam.com/dmdocuments/Marmduke_Pickthall_Tolerance_In_Islam.pdf. 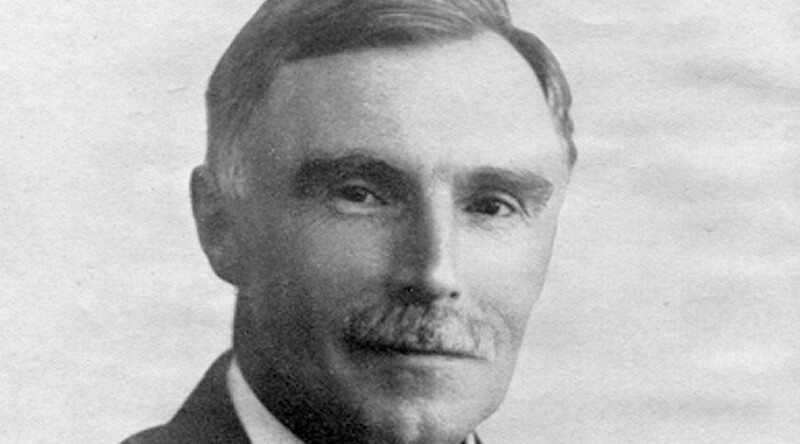 Muhammad Marmaduke Pickthall (born Marmaduke William Pickthall, 7 April 1875 – 19 May 1936) was a Western Islamic scholar noted for his English translation of the Qur’an (1930). A convert from Christianity, Pickthall was a novelist, esteemed by D. H. Lawrence, H. G. Wells, and E. M. Forster, as well as a journalist, headmaster, and political and religious leader. He declared his conversion to Islam in dramatic fashion after delivering a talk on ‘Islam and Progress’ on 29 November 1917, to the Muslim Literary Society in Notting Hill, West London. He was also involved with the services of the Working Muslim Mission in the absence of Khwaja Kamal-ud-Din, its founder.